Budva is the city in Adriatic coast. The rise of big Mediterranean cultures have made the spirit of this town, and has become the pearl of this part of the Adriatic coast. This touristic destination from the early year 1923 till today many visitors named Budva as a metropolitan touristic place because it is the most visited place in Montenegro, and Mediterranean coast. The Budva is known for its gorgeous sand beaches, long 38 km of the coast, that belong to the highest quality. 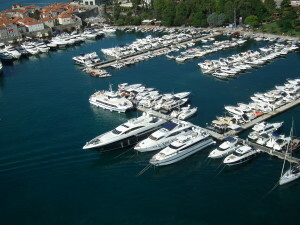 Characteristic of the attraction are the old City, Marina and Saint Nikola. 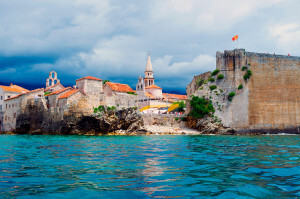 The old town is the city fortress in nowadays called the heart of Budva, The fortress was built on the coast close to the shore, and after was connected with the stones and today it is the beautiful tourist place. Concrete of the fortress are attraction for tourist from all over the world. There are the Citadels from VI century and today is the summer theater famous The City of theatre. MC Marina is one of the most beautiful marines in Montenegro. 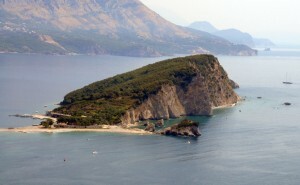 It is located in the middle of Montenegrin cost in Budva. Island Saint Nikola is one of the most visited attraction in Budva, popular name is Hawaii. The perfect getaway from the city crowd and it is the most convenient to get there by taxi boats. Once you get there the perfect clear water and white sand beach is waiting for you.